This Ultra modern curve shape ring is designed to hold two stones which can be added after casting Stone sizes: 1 x 6.5mm round 1 x 4mm round Metal weights 10ct gold 8.50 g 14ct gold 9.50 g 18ct gold 11.0g Platinum 15.20g in size P 1/2 Frosted Ultra Detailed: This model comes in Frosted Ultra Detailed as default. 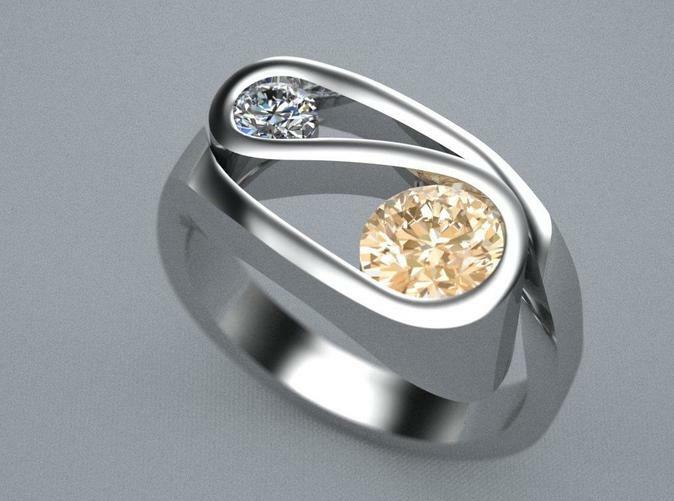 This is for the person who wants to cast the ring in gold, silver, or platinum at their local jeweller’s. What you would do is the following: Order here from ShapeWays this model in Frosted Ultra Detailed. Once you receive your order you would take this model to your local jewellers along with the list of stone that can fit into this model. Your jeweller will give you a price to complete this model into a ring of metal and stones of your choose. Please pass on this IMPORTANT NOTE to your jeweller. The model that comes from ShapeWays needs to be cleaned in his ultrasonic cleaner and then blown dry (do not use a steamer) to completely remove all support matters used in the growing process before sending to casting. If the model is not completely cleaned the casting may not come out correctly. Custom Order Price Request: This ring can be custom designed to suit a different ring size and even changes to the design. 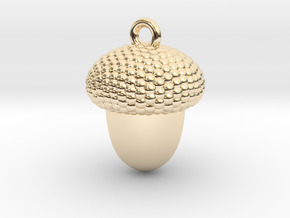 We can also provide the ring in materials not available at Shapeways (such as gold or platinum), and supply and set required stones such as diamonds. Please contact us at info@lifestyle_designs.net.au for a quote and further information. **** The above photos may show white and/or other stones in the ring. ``NO STONES COME WITH THIS ORDER``. 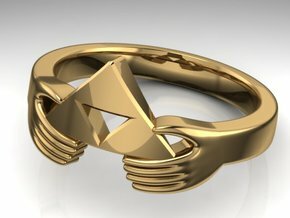 Your order here from ShapeWays gives you the master model (if you choose Frosted Ultra Detail) for the above ring that your jeweller requires to cast this ring by “Lost Wax Casting”. If you choose other metals available here you will require a jeweler to set stones in the mount afterwards. Only stones with the measurements below will fit this mount.